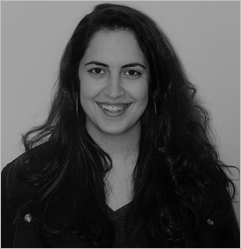 Meet ISPA's 2018 Middle East & North Africa Fellowship Program participant Zeina Khoury! Zeina Khoury, born and lives in Jerusalem, is a trained musician specialized in bassoon and orchestral conducting. She currently works at the Edward Said National Conservatory of Music (ESNCM) as the orchestra manager of the Palestine National Orchestra, Palestine Youth Orchestra, The ESNCM Conservatory Orchestra and the Jerusalem Children's Orchestra. Other than her work with the orchestras she engages herself in many other projects at the ESNCM, such as the Palestine National Music Competition, the annual Festivals of the conservatory eg. Jasmine Festival, Layali al Tarab fi Quds al Arab, Al-Fawanees Musical and others. She formerly managed El Container Band, an alternative Palestinian band based in Jerusalem. When she isn't busy managing all the chaos, she spends time learning languages and competing in trivia games. ISPA would like to thank the British Council for their support of this important regional initiative. Learn how you can help support the Fellowship Program.